It’s officially apple season, and I must say, here at Wisconsin from Scratch we’ve been going a little apple crazy. 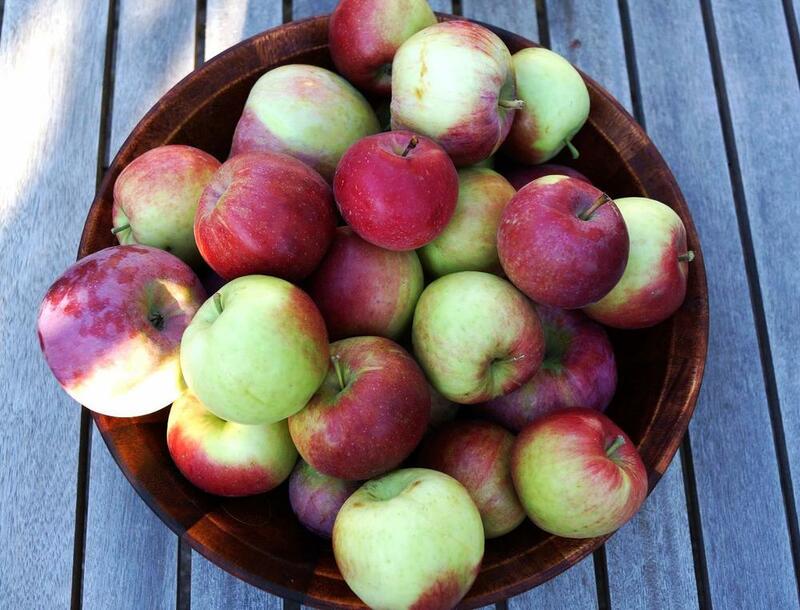 But really, can you blame us with all of the fantastic apple varieties available for the picking? And after a less than ideal apple year in 2012, this year’s booming apple crop is just what we need. In the past week, I’ve made apple sauce and German apple pie. Not to mention all of the straight-up apple eating and apple cider drinking that’s been going on. So what would be more perfect this week than to make an apple crisp. Apple crisp is my go-to fall dessert, mainly because it’s as good as apple pie, but less work because you don’t have to make a crust. Although if pie is your thing, you could very easily throw all of these crisp ingredients into a pie shell and have yourself a pretty marvelous pie. And while making said apple crisp, I decided to doll it up just a bit with some tart cherries and hazelnuts. What I ended up with was a perfect fall dessert. I could eat this every day until apples go out of style. Or season. Which is hopefully not for a long time. If you don’t have hazelnuts on hand, I would imagine that pecans or almonds would be absolutely fantastic here as well. Give it a try and let me know how it turns out! 2. Combine apples through ⅛ tsp salt in a large bowl. Once mixed together, transfer to a 9 x 9 baking dish and spread in an even layer. 3. 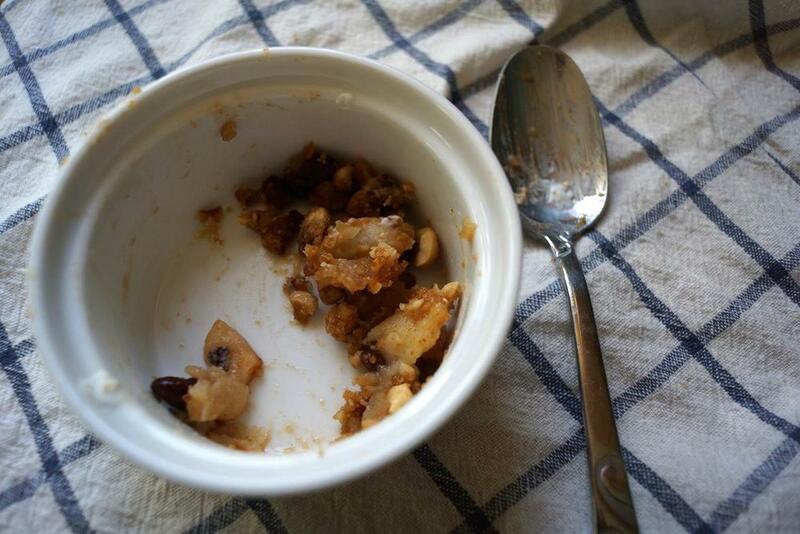 Combine all of the crumble ingredients in another bowl until fully combined and crumbly. Sprinkle evenly over apples in baking dish. 5. Cool slightly, then serve topped with ice cream or whipped cream.